We know it is often said, but we could not hold the Beer Marketing & Tourism Conference without our sponsors. 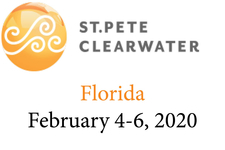 Please see below for our growing list of sponsors, who have all stepped up to support our efforts to provide an outstanding experience for attendees. The Boise Convention and Visitors Bureau (#visitboise) is a non-profit organization, founded in 1982. Our mission is to enhance the City of Boise’s economy through the marketing, promotion and selling of the city and region as a site for conventions, corporate meetings, trade shows, leisure travel, cultural, sports and special events. Every year Boise hosts hundreds of meetings and special events. These events are significant contributors to our local economy. Visitor spending filters down to more tax income, more jobs, and more business for local hotels, restaurants and countless service providers. We invite you to see all that Boise has to offer! Check out our outdoor activities and arts scene. Want more? Learn about our growing wine region and breweries or thriving dining scene. Follow them on Facebook, Twitter at @BoiseCVB and Instagram. Gooding Farms grows multiple varieties of hops including Apollo, Bravo, Chinook, Centennial, Super Galena, and Zeus. Gooding Farms will be hosting BMTC18 attendees for a tour, dinner, and tasting. Find them on Facebook and Twitter at @goodingfarms! 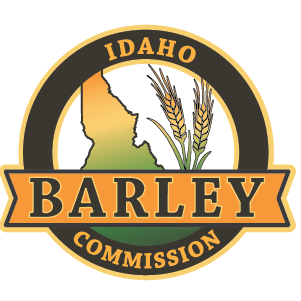 The Idaho Barley Commission is a self-governing agency of the State of Idaho established in 1988 that serves to enhance the profitability of the Idaho barley growers through research, market development, promotion, information and education. The commission is funded by Idaho barley growers through a checkoff assessment on barley grown, and is governed by a board of three Idaho barley growers and one industry representative. The IBC mission is accomplished by identifying and fully utilizing available resources and organizations to promote and further develop the barley industry in the state of Idaho. Commission partners include National Barley Growers Association, Idaho Grain Producers Association, U.S. Grains Council and the National Barley Improvement Committee. Idaho is the top barley producing state in the country growing more than 34% of the nation’s barley crop. Last year 530,000 acres of barley were harvested in Idaho yielding 53,530,000 total bushels of barley. Follow them on Facebook. Idaho Brewers United is a non-profit 501(c)6 trade organization founded in 2012 and is dedicated to the craft beer industry in Idaho. Our efforts are focused on Legislative/Regulatory, Education, and Promotion. 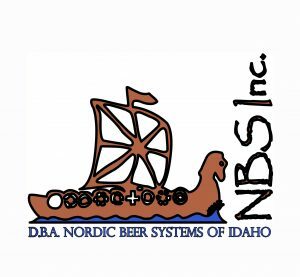 IBU membership includes Idaho craft breweries, breweries-in-planning, associated-industry businesses and craft beer enthusiasts. 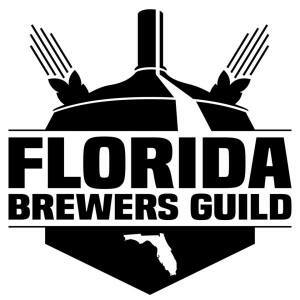 Members of IBU make-up a dynamic and connected community who support, protect, and promote the craft beer industry across the state and beyond. Follow them on Facebook and Instagram. 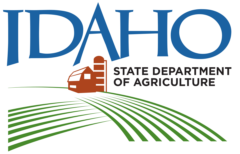 The Idaho Department of Agriculture was established in 1919 to serve and regulate Idaho’s strongest industry, a way of life for communities across the state. Idaho’s 25,000 farms and ranches produce more than 185 different commodities, and the state is ranked in the top 10 in the U.S. for production of more than 25 crops and livestock. Follow them on Facebook. We’re Here for the Hops Located in the heart of Idaho hop country, Mill 95 is the region’s only truly independent hops provider. Now in our third year, the Mill’s unique combination of scale, expertise, and agility delivers a versatile range of craft-relevant, on-site capabilities, including great hops originating from Idaho, the Northwest and beyond. Learn more about us at Mill95hops.com or join us on Facebook. Payette Brewing Co.‘s mission is to continually brew awesome beers while building a culture that connects, educates and makes a difference. We chose the name Payette because it fits the way we live and work. Francois Payette was a French Canadian trapper whose name and memory is enshrined among numerous Idaho landmarks. The name has since become synonymous with an adventurous spirit that pervades Idaho’s year-round outdoor lifestyle. Find them on Facebook, Twitter at @PayetteBrewing and Instagram! Ski Idaho: With 28,000 vertical feet of terrain on over 18,000 acres, Idaho’s spectacular scenery is only outmatched by its 18 resorts, epic steeps and legendary backcountry. This hidden little gem is about to become your new favorite powder playground. Find them on Facebook and Twitter at @SkiIdaho! The Southwest Idaho Travel Association is the regional tourism marketing organization for Southwest Idaho. Our mission is to share the beauty and adventure of Southwest Idaho with the world, ultimately increasing tourism and building Idaho’s economy. Find them on Facebook, Twitter at @visitswidaho and Instagram! Founded in 2000, Etix is an international web-based ticketing service provider for the entertainment, travel and sports industries, processing over 50 million tickets per year in 40 countries. As the largest independent ticketing company in North America, Etix provides flexible and secure online and box office ticketing solutions, integrated digital marketing services and robust e-commerce fulfillment to over 4,100 venues, theaters, arenas, festivals, brewery tours and multi-use facilities. Find them on Facebook, Twitter at @EtixWorld and Instagram! 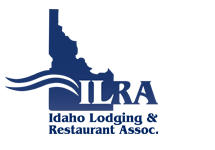 The Idaho Lodging and Restaurant Association is dedicated to preserving and improving the hospitality industry in Idaho by proactively creating a favorable political and regulatory environment and promoting and delivering programs, resources and benefits that address the needs of its members to help its members succeed. Bandwango’s Destination Experience Engine (DXE) is an end-to-end solution allowing DMOs to curate and deliver an infinite set of paid and free experiences into passports, trails and marketplaces that engage and convert locals and visitors alike. Find them on Facebook and Twitter at @bandwango! DAS BOOT!! Beer Fest Boots is a leading provider of customized Beer Boots, Octoberfest Mugs, Beer Babes and custom craft-beer glasses and mugs. We specialize in personalization in all its forms: names and dates, sayings and expressions, corporate logos and custom artwork, as well as decal application and supplying blanks boots. We offer boots in 5 sizes, from quarter-liter to 3 liter capacity, providing the perfect option for corporate events and promotions in addition to groomsman gifts, bachelor parties, wedding gifts, sports trophies, 21st birthday presents and any occasion where a unique and personalized gift is required. Our decal process offers access to full-color renditions of your logo and we can personalize Mug Club glasses for your regulars. Visit us at www.beerfestboots.com. BBM!, based in the USA, specializes in fun, small, educational & affordable beer tours of Belgium, France & the Netherlands for people from all over the world. All tours begin and end in Belgium. In 2008, our first tour consisted of three paying travelers driving around in a Volvo station wagon on what is now known as the Lonely Monks Trappist Tour. Since then, we’ve expanded our number of tours to more than 15 each year. We take a lot of pride in providing eventful tours, covering more, seeing more and doing more in an efficient and relaxing fashion, than one could ever do on their own. Find them on Facebook, Twitter at @beersanta and Instagram! Hoptown Handles manufactures and designs custom tap handles for craft breweries of all sizes. All of our handles are made in Portland, Oregon using sustainable materials and environmentally friendly practices. Our focus on brand consistency, visibility, and durability makes the tap handle investment well worth it. Hoptown Handles aims to develop long lasting partnerships with all of our clients. 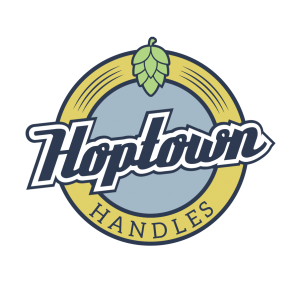 Find them on Facebook, Twitter at @hoptownhandles and Instagram! The Idaho Wine Commission supports Idaho’s grape growers and winemakers. The Idaho Wine Commission acts as the united voice for the Idaho wine industry, helping to grow awareness and sales of Idaho wines. Idaho wines are high quality, an important part of Idaho’s economy and growing and developing. Find them on Facebook, Twitter at @idahowines and Instagram! 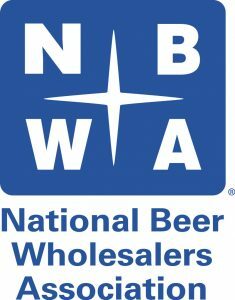 The National Beer Wholesalers Association (NBWA) represents the interests of America’s 3,300 licensed, independent beer distributor operations in every state, congressional district and media market across the country. Beer distributors are committed to ensuring alcohol is provided safely and responsibly to consumers of legal drinking age through the three-tier, state-based system of alcohol regulation and distribution. For additional updates from NBWA, check them out on Facebook, Twitter, and YouTube! Rogue Ales & Spirits are brewed and distilled in Newport, Oregon. Rogue also operates a Barley Farm in Tygh Valley and Hop Farm in Independence, Oregon. Rogue believes in Growing Our Own ingredients for our beer and spirits. Centuries of geologic forces created ideal terroir for growing malting barley, aroma hops, rye, pumpkins, honey, hazelnuts and jalapeños. Rogue is dedicated to saving the terroir of Oregon beer and spirits by growing its own unique and proprietary ingredients – one acre at a time. Rogue also operates eleven restaurant/public houses from San Francisco, CA to Issaquah, WA. Find them on Facebook, Twitter at @rogueales, and Instagram. Craft a more loyal customer community with Stitch. Stitch is a customizable, built-for-breweries loyalty platform that’s coupled with powerful marketing and customer feedback collection tools. Come by our booth at the conference for a quick demo to see how easy it is for brewery patrons to use (no need to download an app), and how effective it is for breweries (customer retention increased by 100%). You can also see Stitch in action at a couple breweries in Boise while you’re in town. Automatically ping customers who haven’t been in for 8 weeks with a welcome back coupon. Invite your top 100 customers last year to a pre-release tasting party. Collect list of willing volunteers for your next event. Find out how your customer hear about you. Find them on Twitter at @stitchloyalty and Instagram. Travel Lane County markets Lane County as “Eugene, Cascades & Coast.” We are a private, nonprofit association funded by member support and transient room tax generated at lodging facilities and campgrounds. Our mission is to increase overnight stays within the county. As partners with business, civic, government and community groups, including our 600+ members, we provide visitors with extensive services and resources to ensure a quality visitor experience within Lane County. Learn more about our wine and beer scene on our website, Facebook, Twitter at @TravelLaneCo, and Instagram. 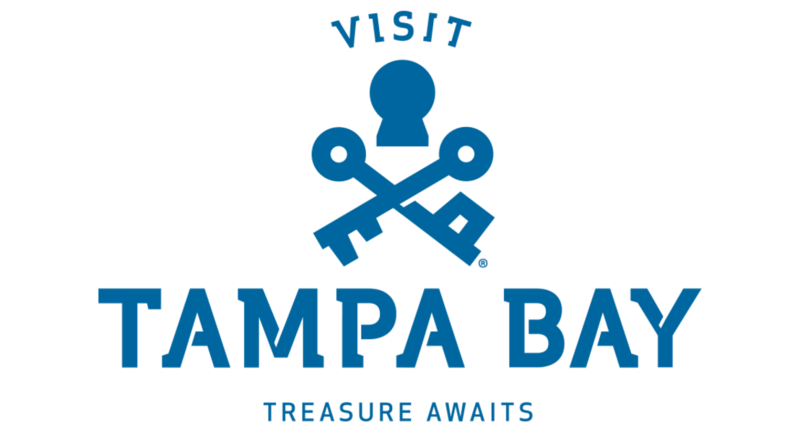 Play Harder Tours is a Jacksonville, Florida based travel agency offering custom built “Beer Tourism” travel packages to worldwide destinations. We offer both group and individual travel packages designed with your personal preferences in mind. Our trips are experience driven, designed to have you hit the ground running when you reach your destination. If you enjoy festivals, touring breweries, distilleries, and wineries, visiting bars and cafes and mixing with locals… eating great food while avoiding the tourist traps we can point you in the right direction. Beer Drinker or not You’ll love our trips! Find them on Facebook, Twitter at @PlayHarderTours, and Instagram. Wine & Craft Beverage News is a publication with news information and resources to professional vineyards, wineries, craft brewers, cider makers and distilleries.